World’s Largest Student Competition Comes to Abubakar Tafawa Balewa University Bauchi, as Students Tackle United Nations Youth Unemployment Challenge. To compete, please email Yohanna Ayuba Musa at hultprizeatbu@gmail.com for more information please visit our website www.hultprizeat.com/abubakar. 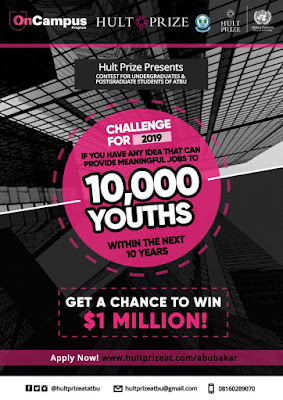 The Hult Prize is the world’s largest student competition and start-up platform for social good. In partnership with former President Bill Clinton, this innovative crowdsourcing platform identifies and launches disruptive and catalytic social ventures that aim to solve the planet’s most pressing challenges. Student teams compete around the world for a chance to secure US$ 1 million in start-up funding to launch a sustainable social venture. Ahmad Ashkar, CEO and Founder of the Hult Prize, attributes the success of the competition to the shift in the global economy and the millennial generation’s refusal to live in a world with inequality. “We are giving entrepreneurs from around the world a platform to innovate and revolutionize the way we think about servicing the disadvantaged,” Ashkar commented. 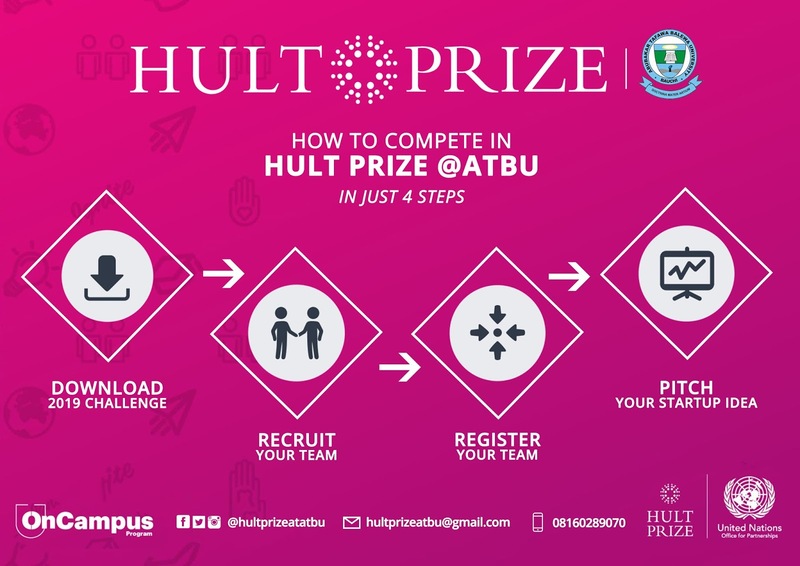 The winning team from the Hult Prize@ Abubakar Tafawa Balewa University Bauchi Final Event will be fast-tracked to compete at one of the five Hult Prize Regional Finals around the world, bypassing the general application which annually receives over 20,000 applicants from more than 350 colleges and universities in over 150 countries. The Hult Prize regional competitions will take place on March 2019 in all of our regional locations. Following the regional finals, one winning team from each host city will attend a summer business accelerator, where participants will receive mentorship, advisory and strategic planning as they create prototypes and set-up to launch their new social business. 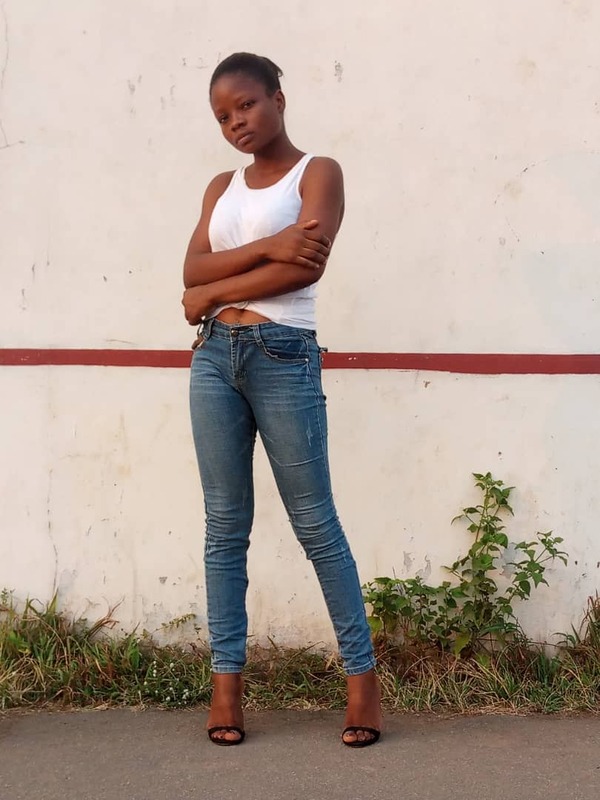 A final round of competition will take place in September, where one team will be selected as the winner and will be awarded the US$ 1,000,000.